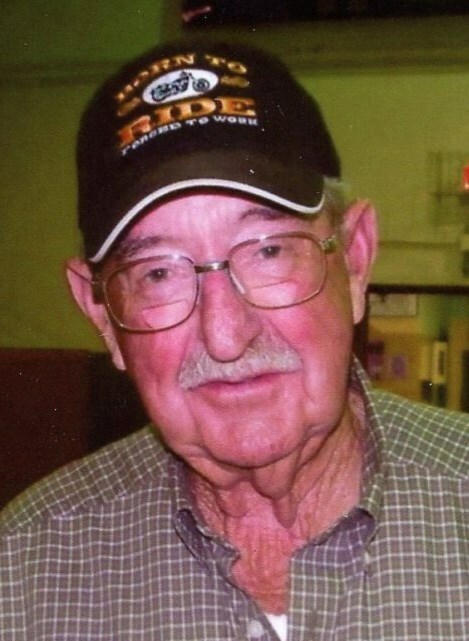 Mr. James Hugh Bradley, 76, of Johnson City, passed away Thursday, October 22, 2015, at his residence. Mr. Bradley was a native of Hartford, TN who had lived most of his life in Johnson City. He was the son of the late Francis and Susie Messer Bradley. Mr. Bradley was a veteran of the U.S. Army. He worked as a crane operator for Powell Construction Company for 40 years. Mr. Bradley was a hard worker and loved to help people. You could find him mowing, fishing or just piddlin around. Mr. Bradley had many friends and was a friend to many. In addition to his parents, he was preceded in death by: his wife, Myrtle Belle Bradley; daughter, Tammy Bradley; brothers, Homer and Ray Bradley; and sister, Alice Wagner. Survivors include: three sons, Donald, David, and James Edward Bradley; two daughters, Linda and Robin Bradley; four grandchildren, Cerridwen, JayLin, MaryElizabeth, and Elijah James Bradley; three brothers, Ed, Mike, and Omar Bradley; two sisters, Merle Averette and Janelle Luttrell; and several nieces and nephews. The family of Mr. James Hugh Bradley will receive friends from 6 to 8 pm Sunday, October 25, 2015, in the Morris-Baker Funeral Home. The funeral service will follow at 8 pm with Rev. Sherrel Nave officiating. The graveside committal service will be conducted at 11 AM Monday, in the Washington County Memory Gardens. Active pallbearers will be members of Oak Grove Baptist Church. Minister, family, and friends are requested to meet at Morris-Baker by 10:15 AM Monday to go in procession to the cemetery. The family would like to express a special thank you to Dr. Jamal Maatouk and Myra Blankenship, NP and their entire staff. Robin, to you and your siblings, we were saddened to hear of your loss, but are encouraged at the same time, by the very thought of knowing, just a few months ago, there was a line opened up from earth to Heaven of intercessory prayer for Mr. Bradley. By this we know, God stepped up to Mr. Brad’s side. We love you and may God comfort you. I treasure our many years of friendship with James. We always called him "Bradley". He came down to Jay’s Dock almost everyday thru the summer for the 14 years we were there, and I loved to see him coming. He always looked like he was about to smile, and I fondly remember many little chuckles over some little joke or goodnatured teasing, (usually directed at "Bluegill"!) We have been missing seeing him, and will always miss him. Our sympathy to all the family.